This cool station was nearly in my back yard (I was living in Dodge City, Kansas) in 1968 and with fellow Wichita Top 40 KEYN-FM, now in stereo on air, the AM/FM battle was for real for the first time in mid-Kansas. KLEO broke lots of music in its years and this top 40 has a fair share of goodies to choose obscure tracks from. #1 and 2 boasted fake artist names, as Derek was actually previous hit maker, Johnny Cymbal and the Archies were, for the most part, our FH'er Ron Dante singing what former Monkees guru Don Kirshner created after his ouster by the pre-fab 4. This chart presents the NC6's biggest national hit for the first time on our survey journey of 68. Yet, I will choose two great obscure tracks from the lower reaches. #32 was Nick DeCaro's pretty instrumental, "If I Only Had Time." This was originally a vocal international hit by various artists, but inexplicably failed here in the US in a year when the instrumental genre was huge. It's December, and likely you are getting pummeled with Christmas music on your local stations, like every year. 50 years ago, Christmas music was generally played only a week before the holiday for the most part. One of the newest and BEST of the 1968 Christmas tunes was Bobby Goldsboro's nice #35 "Look Around You" 45. And Elvis jumps up ten places to #30 with "If I Can Dream," from his brand new television special that aired earlier this week on NBC. 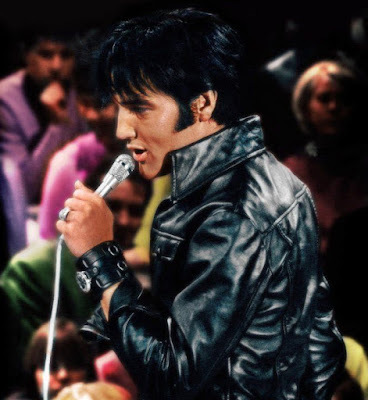 12/3/68 - Elvis Presley’s ’68 Comeback Special (“Singer Presents … ELVIS!”) airs on NBC TV. A hit soundtrack album will be issued days later. 12/5/68 – The Rolling Stones “Beggars Banquet” LP is released. As part of the release party, and actual banquet was held for the press … where a pie-throwing contest ensued. Also on 12/8 - Graham Nash officially quits The Hollies. The following year, his first efforts with David Crosby and Stephen Stills will be released as Crosby, Stills and Nash. 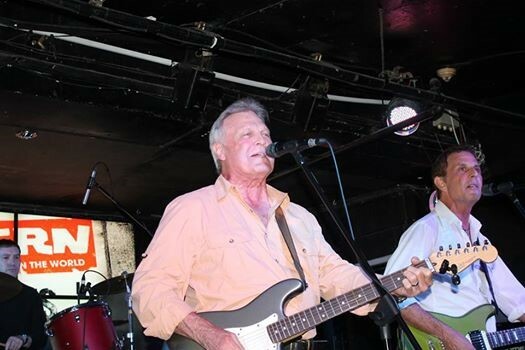 We are fortunate to have two extremely talented band leaders / musical directors on our list who, over the course of the past couple of decades, have helped to resurrect the careers of some of our '60's heroes (like Tommy Roe, Peter Noone, The Box Tops, The Rip Chords, Jay and the Techniques, and others) and get them back out on the road, touring again, so that we fans can enjoy their music again in a live setting. How cool would it be to have the OTHER one of these guys ... Bob Rush ... write a review of Rick's book!!! 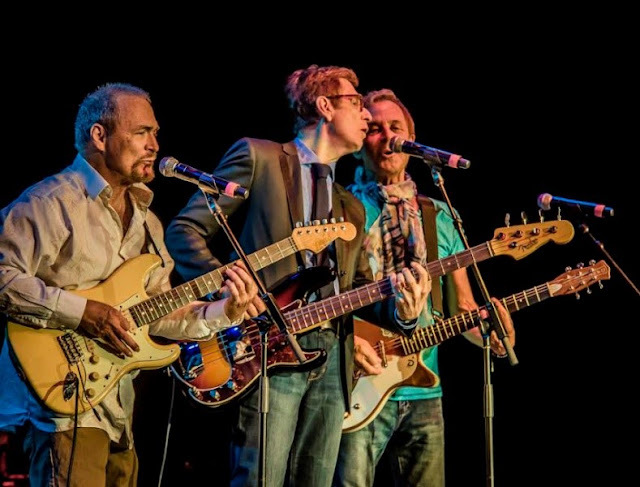 (Both Rick and Bob have been long-time Forgotten Hits Readers and contributors ... and share a lifetime of memories on the road, living the rock and roll dream.) 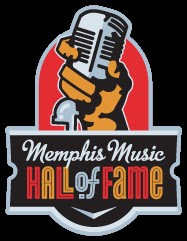 Rick currently heads up The Box Tops, recently inducted into The Memphis Music Hall Of Fame and gigging all over the world, while Bob was instrumental (pun intended) in putting The Rip Chords back together. He has also done some of these great PBS fund-raising music programs and served as the U.S. Correspondent to Great Britain's music magazine, "The Beat." So, without any further adieu ... take it away, Bob! 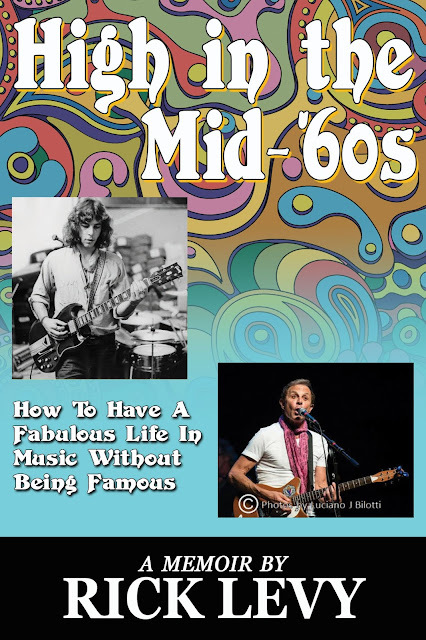 First of all, “High in the Mid 60’s” was the name of one of author Rick Levy’s bands’ albums from the 1960’s. And, you have to admit that, from this vantage point, it’s a helluva terrific name for this book about a guy, now in his mid-sixties, who’s written this book about playing in a band and being high in the mid-sixties, had a band in the 60s who had this as an album title, and who now lives in his dream-town in Florida. where the temperature at night is … got it? This is a passionately written book about a life that’s been, and is being, lived with passion – passion for music, for his family, for his friends, and for Life. It’s a book about living a fulfilling, and fulfilled life, by doing what energizes and drives you the most. This is the engaging auto-biography of music biz vet Rick Levy, who grew up in a stable, suburban, Jewish, middle-class home, with loving and protective parents. And, it’s the story of a man who – despite all these odds – grew up to be a success in the music business anyway! Rick’s early epiphanies and excitement about the entire music scene were inspired, fostered, and supported by family friend, “Uncle” Elliot Wexler, a New York record man with a host of credentials himself. The music director and lead guitarist for Peter Noone was this smooth, English-looking guy named Rick, who played a couple of gorgeous axes. He had Peter’s band decked out in beautifully tailored, 60s-style sharkskin suits that would have made Dougie Millings proud. And, damn if they didn’t sound just like the Hermits’ records! Peter, Rick and the boys sounded terrific that night, and Mr. Noone, as always, rocked, charmed, and entertainment the house. Talking with Rick backstage, I learned that Mr. Levy also managed Tommy Roe as well as The Box Tops. Impressive, to say the least. We hit it off well, and soon Rick was booking The Rip Chords on a number of shows, supporting The Box Tops, and many other acts he managed and booked in those days, including Jay (Proctor) and The Techniques, and “Mr. Excitement,” himself - Freddy “Boom Boom” Cannon, as well as more gigs with Peter Noone. 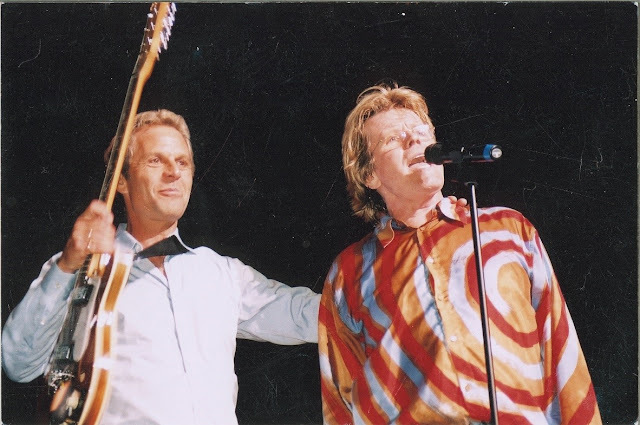 Somehow, he even connected Beach Boy Al Jardine to The Rip Chords, and we did many shows with that extremely talented and kind man. The point is: Rick Levy knows people! And people know him! And, he enriches all of his friends with wonderful opportunities to play and perform wonderful music. This is Rick Levy’s raison d’etre, and he lives it extremely successfully. His career began in Allentown, Pennsylvania, and quickly escalated to Philadelphia, and other Eastern centers of rock and roll. 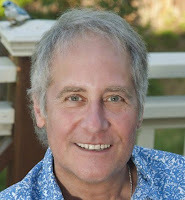 His 60s - 70s band, Wax, was one of the three or four hottest bands in the Philadelphia area in the late 60s, and included future Hooter, Rob Hyman. To put this important and musically nascent era into perspective, no less than Todd Rundgren was one of Rick’s musical colleagues and competition for the spotlight. One might think that Mr. Rundgren won that particular rivalry, but one would be mistaken. While Rundgren has emerged as a great and well-known talent, Rick Levy has achieved the same, but a little more quietly. His renown is on a quieter, yet no less active, level. And, he has been working music – and only music – his entire life. We’re now being treated to a veritable cornucopia of biographies, auto-biographies and well-crafted myth-supporting volumes of most of the greats we’ve come to know and love. But, what of the unsung heroes who have been there all along, supporting the ones we know and glorify? Welcome to “High in the Mid 60s” – a book about a man who has been there, done that, and keeps on doing it! 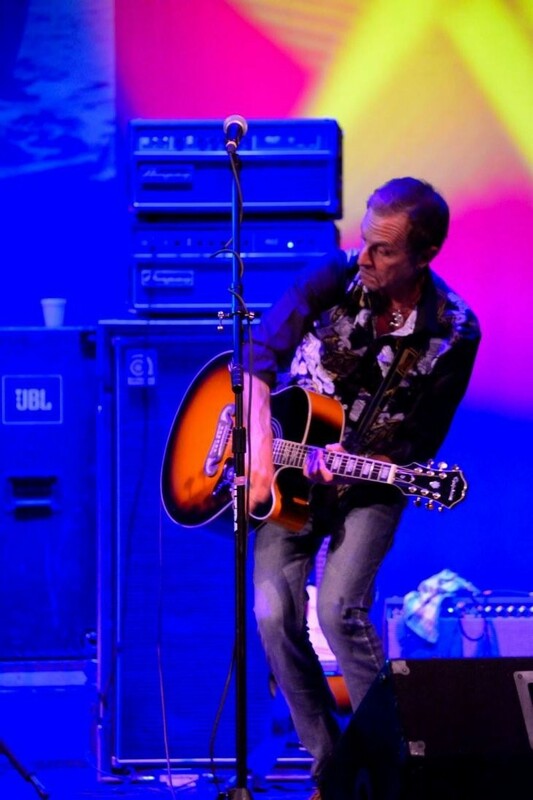 Rick is now a touring member of The Box Tops (who were just recently inducted into the Memphis Music Hall of Fame) and still having a helluva good time doing what he loves the most! As he says, “The challenge is to keep reinventing yourself so you’re still viable.” Of course, there are the behind-the-scenes tell-all’s that add a little juice to the stories, but, like the author, Rick’s book keeps it on the high-road. Thanks for a terrific, informative, provocative, and motivating book about having a fabulous life in music without being famous. “I’m ‘always a bride’s maid,’" Rick confides, regarding his career. But remember: a bride’s maid is the person who holds it all together for the bride. So, in that respect – ‘always a bride’s maid,’ indeed. Be sure to read “High in the Mid 60’s”. Some Of Your Mid-Week Comments ... And A Bit More Head Scratching! Due to "re-purposing" some of their cable channels, Me-TV-FM has been dropped from Comcast / Xfinity's simulcast on Channel 877. Comcast / Xfinity, which had been featuring the over-the-air broadcast of 87.7FM on its Channel 877 since 2011 (when 87.7 was a smooth jazz station), decided to discontinue the simulcast as of December 1, 2018. They are re-purposing several of their channels and, despite the numerous conversations our management had with them over the past several months, they would not reconsider. Sadly, I’ve heard from several listeners who were told by Comcast customer service that it was Weigel Broadcasting that pulled out. This is not true. peace, joy, health, and prosperity in the new year. Thank you for your support in helping make the BOX TOPS popularity continue to grow! We could not do it without you. Looking forward to working more in the future with you. 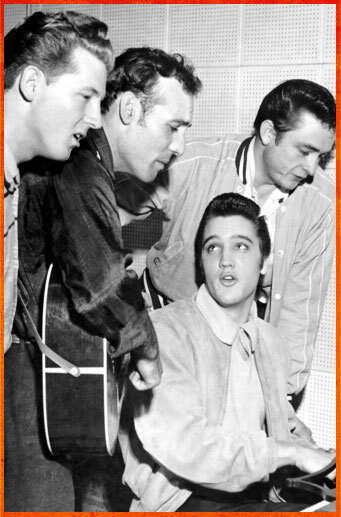 12/4/1956 --- the date of the "Million Dollar Quartet" recording at Sun Records in Memphis, TN. In an interview, Don Imus once asked Jerry Lee Lewis what he was thinking when this picture was taken. The Killer said "I was wondering why Elvis was sitting at the piano." Wikipedia shows the Stones at the Metro Center in Rockford on Oct 1st of 1981 as part of their 1981 American tour. That's a pretty tight and full schedule. I thought they doubled-back to play Rockford as it wasn't part of the original game plan ... but I don't even see much of an opportunity to do so ... so now I'm starting to question my own sanity instead!!! Encore: often none, but sometimes "Honky Tonk Women", a few times "Uptight (Everything's Alright)" / "(I Can't Get No) Satisfaction"
Apparently the 1981 Rockford show is on YouTube. I am completely unaware of an earlier show. I can't imagine a show of that magnitude coming to Rockford in 1972 without anyone knowing about it. The only show I remember hearing about, and not attending, was the Beach Boys at the local YWCA in 1965. I think it was one of their first shows on their first tour. As far as outdoor venues go, there really weren't any at the time. We had a decent sized band shell at a park, but that was free. The band Fuse would play there quite often. Later in the '70s I think they started having outdoor shows at the Rockford Speedway, but once again that was later. Ted Nugent was one of the big headliners. They also had a series of shows in '72 at the Winnebago County Fairgrounds located west of town. These were good shows and the promoters lived downstairs at the time. The biggest headliner at these shows was Leon Russell. I attended all of these shows and once again no Stones. The Armory I remember a little better. The big show there was REO Speedwagon with Badfinger as the opening act. This would have taken place in 1972. I was involved in the financing of this show as I was the only guy, it seemed, with a real full time job at the time. It was a successful as well as a good show. The REO format at this time was the make up on their first album. This was actually my favorite format versus the more successful one that followed. Now this is a stretch but I thought I saw the Rolling Stones live in 1964 as part of the TAMI Show. The Stones and James Brown closed the show. The show was shown once at the Midway Theater downtown at 10:00 am on a Saturday morning. We thought it was one of those live telecasts similar to the ones used to televise the Indy 500 on Memorial Day. Recently I found out that it was recorded right before the show and then shown once later around the country before it disappeared. I recently found a DVD of the show with more information on it. Apparently the guy who did the TAMI Show also did the Elvis '68 Special. There was no Ticketron available in Rockford in 1972. I remember that starting in about 1970 and later in the '70s we had to go to Elgin to purchase tickets on Ticketron. None of the venues were connected to, or used the Ticketron system. My guess is the Metro Center was most likely the first one.